Or tie in, as it were. How many iterations do you know? Please tie and post them here. Shall we stay on this thread to see them together? The first to me is the dry fly. So I tied it first. And this was what came to mind re a wet version. 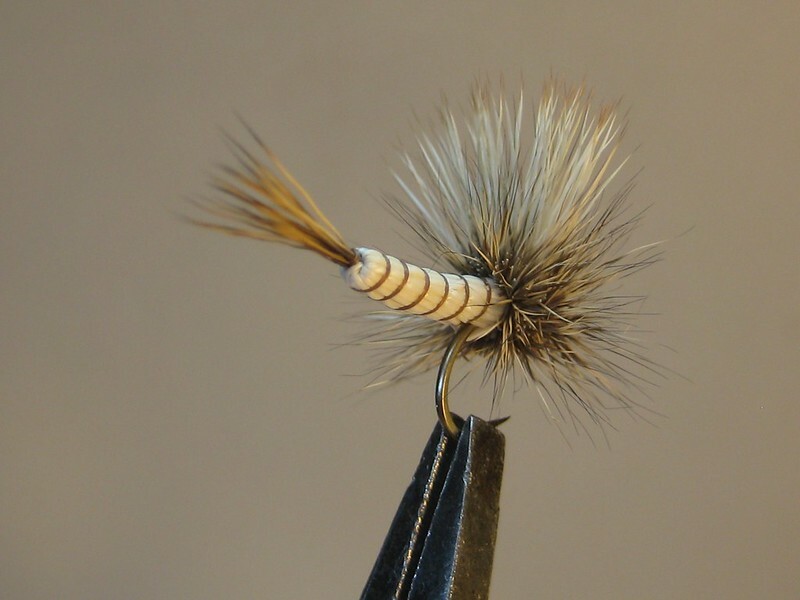 The March Brown is one of my favorite patterns. I tie it from size 6 to 16. Here is one from each side of that range. 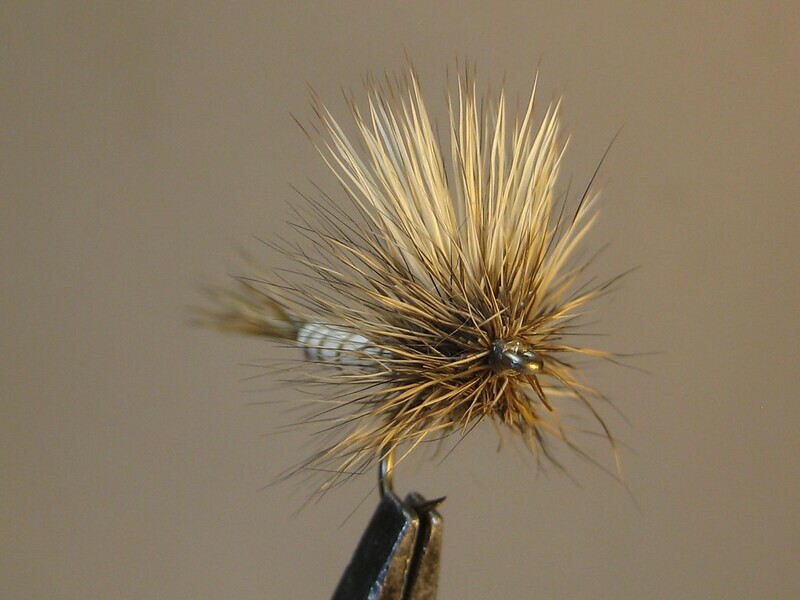 I use the large one on big water so I over hackle it and I Palmer one grouse body feather through the mess of hackles. I like that look. PS- why are the pictures sideways? Thanks Dave. Thanks Marc. Did you post them in French? Just kidding. Are these dries? 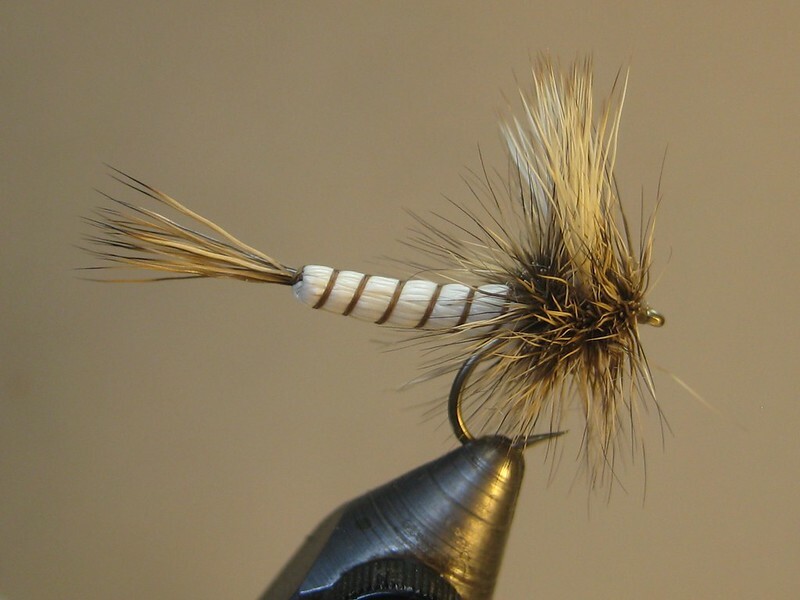 Good practical flies. Great flees Dale. 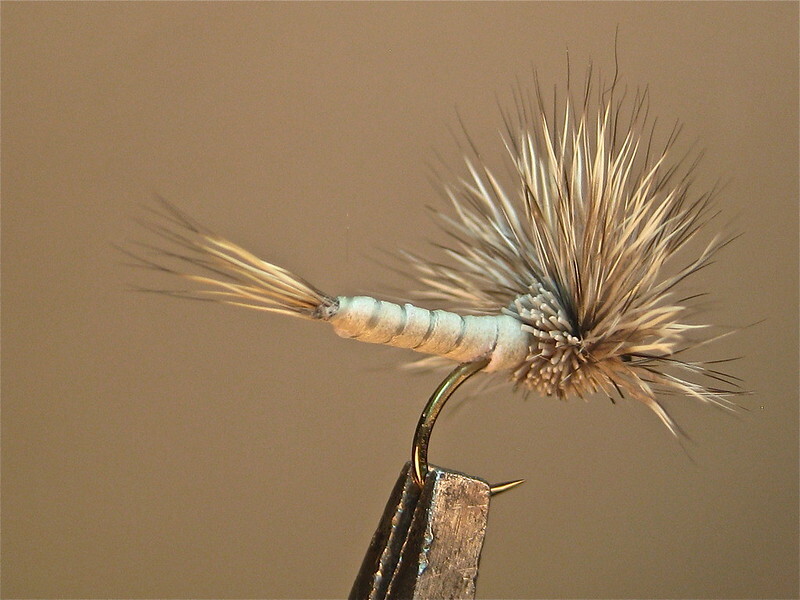 I have a soft spot for dry flies. I mainly fish trout and use this pattern very often. Thanks! Let's see yours Chris. That was the first I've tied in quite awhile. 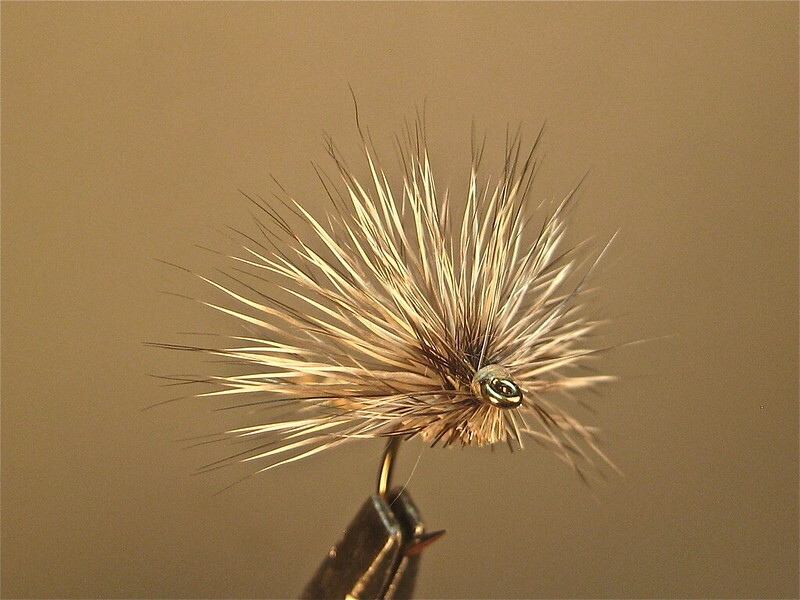 Dries are all I fish when possible. Which was always in Colorado. Never here. Sad. Where's the Blacker March Brown? Here's one that my buddy claimed did well during the March Brown season even during the night spinner fall. Go figure. March Browns grow big on the Ausable River NY. No matter what stage, I start with a body at least one inch long ( not including the tail/shuck while transitioning). Getting the timing right for any stage is so elusive and unpredictable that I don't even try anymore. Always nice to see more energetic and younger legs willing to take your efforts to the river. 'll try to get some done during the next couple of days.. Thanks Akec! I like it! Ted, look forward to yours. Gotz, it's redundant to say this but that's a beauty. We chased brown drakes on the Henry's fork in Idaho. Similar to what you have? It's one of only two mayflies I know that have nymph, emerged, adult and spinner activity that overlap: who knows what the trout are eating? On that basis your pattern make a great sense. HERE'S A FEW I DID A YEAR OR SO AGO....SORRY FOR NOT PARTICIPATING IN THE FORUM BUT I STILL AM LOOKING AND ADMIRING ALL THE BEAUTIFUL CRAFTSMANSHIP OF FUR AND FEATHERS THAT ALL THE MEMBERS ARE CREATING! Dave! Thanks. Beauties. Sure miss seeing and hearing from you. Thanks a lot for these. Hi to your girls. Cool flies. Heavier than anything we used in the West. I've had good luck with these in Montana, although the rivers I've fished them on in the spring don't have the pickiest fish. 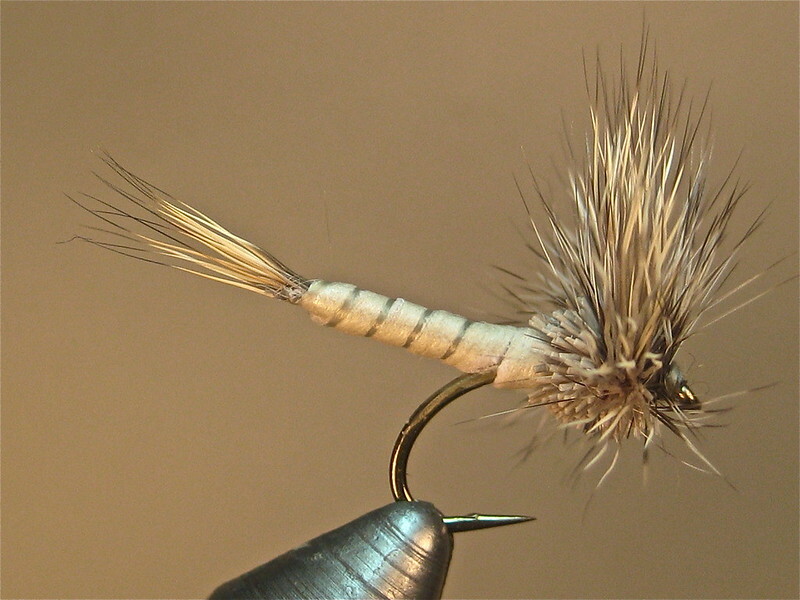 The Carnage Spundun, tied on a #14, also works well as a Fall Drake (Hecuba) in Yellowstone. Here is my recent March Brown contribution. It is one formula that I thought I caught several with last spring, but upon looking at my fishing hat afterwords, it seems that all is correct except the addition of a tail. But with all the variations of the March Brown, I will still add this one to your challenge tied on a blind eyed, about a size No. ten perhaps?